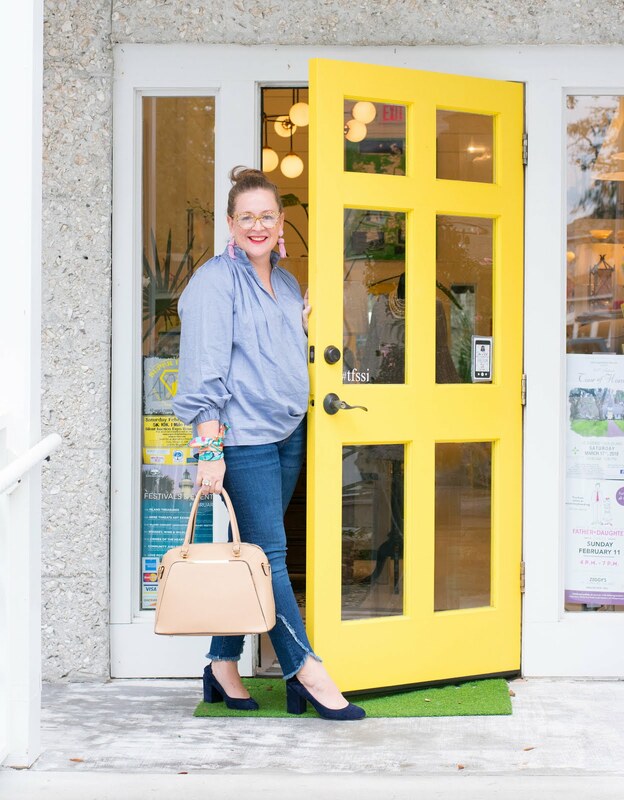 It is freezing here in Georgia (this am it was 27) but I am wearing bright colors and ushering in spring every where I possibly can. I almost feel as if I am willing it here as quick as possible. 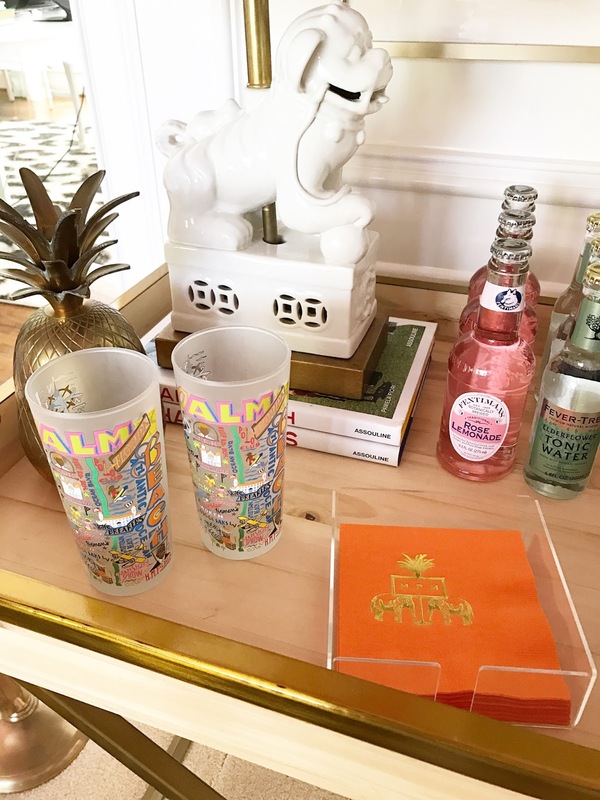 A few weeks ago I changed over our bar cart from a winter feel to a happy colorful reminder of all things set to come. With the warmer weather around the corner (please Lord!!) I am envisioning lots of dinner parties and girlie happy hours where I will need a stocked space to be able to serve those I love and adore. First of all you need a fabulous cart. 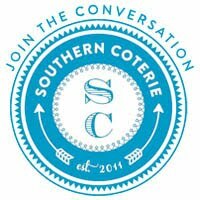 Mine is the Audrey Butler cart from Ave Home and we love it. It is large enough for me to load it up and leave it. When I know people are coming over I add a small cutting board and a fun vase of flowers. Just a little freshen up and a place to cut citrus. Next up glasses. 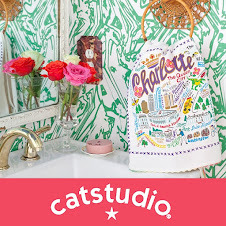 We love Catstudio and their darling designs. 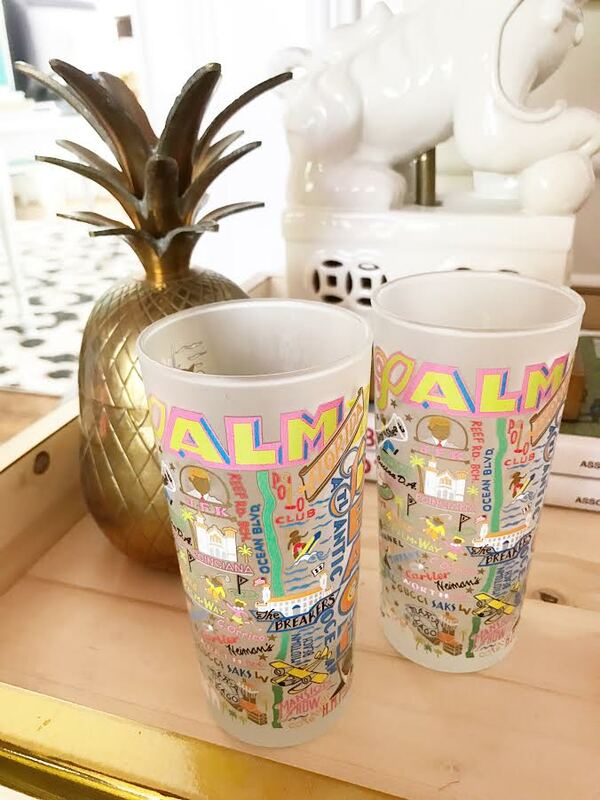 I love that we have glasses that mean something to us, not to mention they are full of amazing images to chat about. Since the Hubs grew up in Jupiter and his mother's family is from Palm Beach that area means so much to our life. These are perfect for us. I also love the size, they are perfect for anything from a sparkling soda to a full cocktail and every single thing in between. I also love to give these as gifts. I have my eye on this set for a friend who just vacationed in Paris. It will be a perfect reminder of her family vacation. Next up and super important to include, napkins. 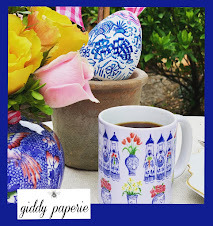 I love a colorful monogrammed napkin, it is just one more way for me to add color to our home. These are from Emily McCarthy Shoppe and the monogram I chose is one of her options. I mean, those elephants are darling, don't you think? A few times a year she sells the napkins as buy one, get one and I stock up. I have them in pink, white, green, orange and most recently navy. They make an appearance for so many functions. I love swizzle sticks! I have a huge collection of them and this summer I had to tell my assistant to keep me from ordering any more. I mean, they are just so fun to add to any cart! These are also from Emily McCarthy shoppe and I ordered them with my napkins. They are from the gift bar and are always available. 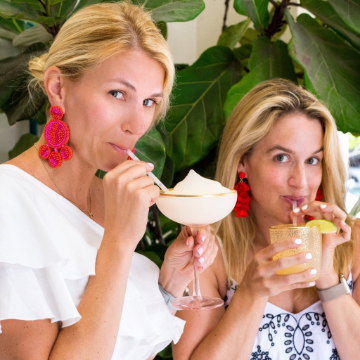 I love to give them as hostess gifts and paired with a set of cocktail napkins they make a perfect birthday gift for a bestie. 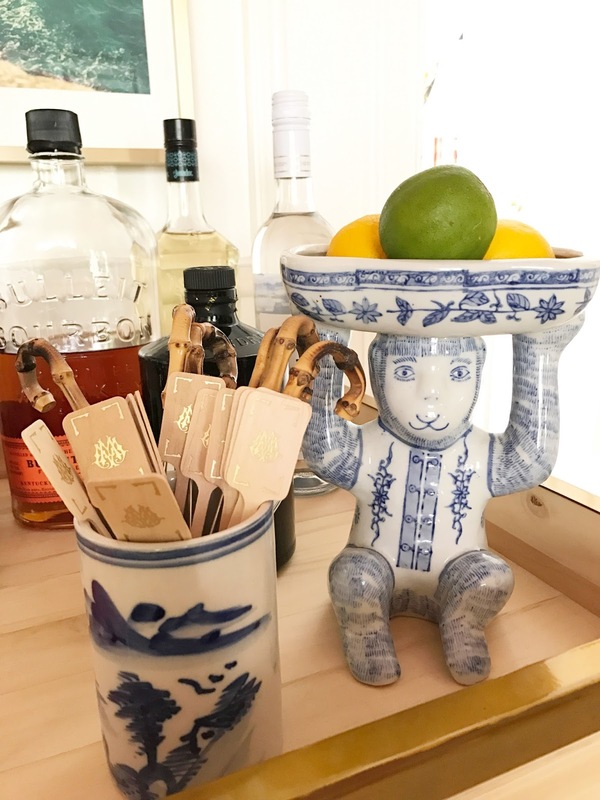 I use this vintage blue and white monkey to hold all kinds of things but citrus is very favorite. 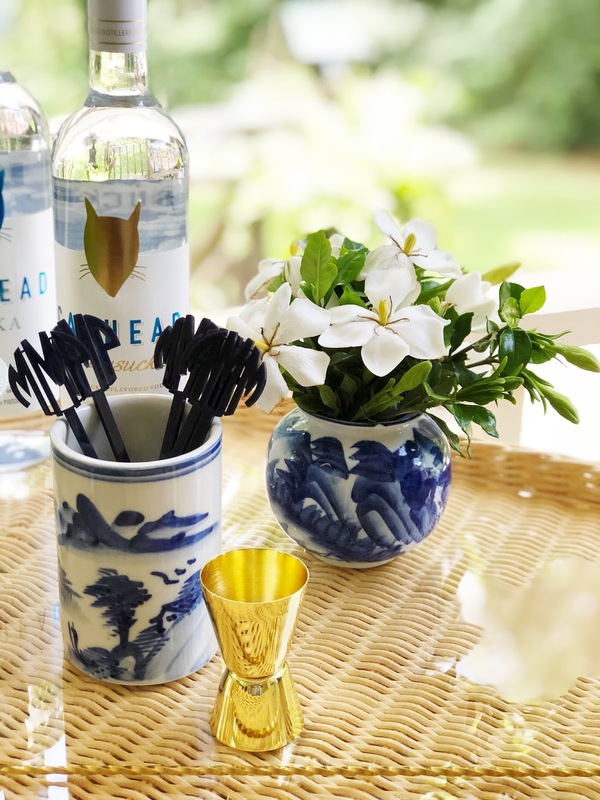 He is perfect for the bar cart and plays so well with others. I found a few of them available on Etsy for you. Check out this one, this one and this one which is identical to mine. I truly believe a lamp is an ideal addition to a bar cart for two reasons. First it adds height and when you are stocking your cart sometimes I find all of my items are about the same size. That is a no bueno moment for me. Adding in the lamp creates height and for me more color. Win, win. Secondly, it is another source for light in the room. We do not have overhead light in our den so we need all the lamps we can get. 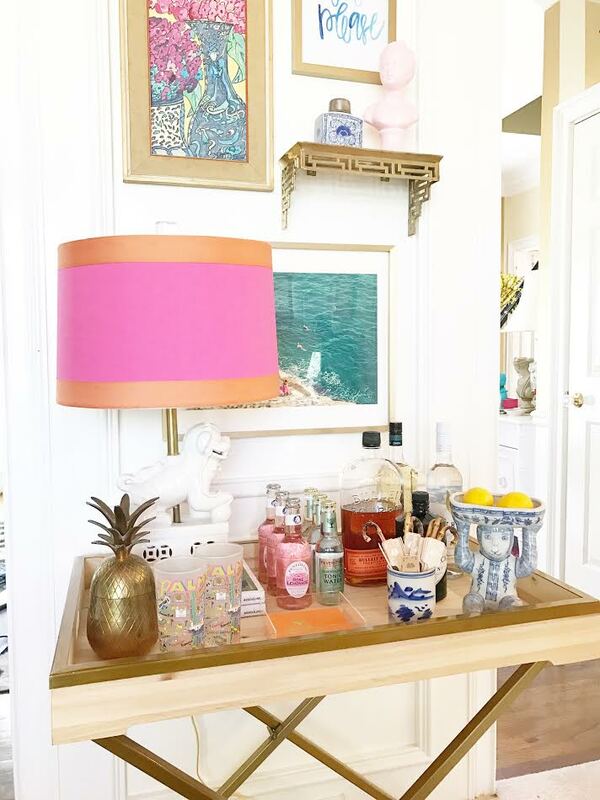 The bar cart is a perfect landing place for a lamp and this one is truly one of my favorites I own. Isn't he so fabulous? Mixers are necessary! Depending on my guests and what they drink I trade them out. We always have tonic and club soda and the rest are seasonal for me. 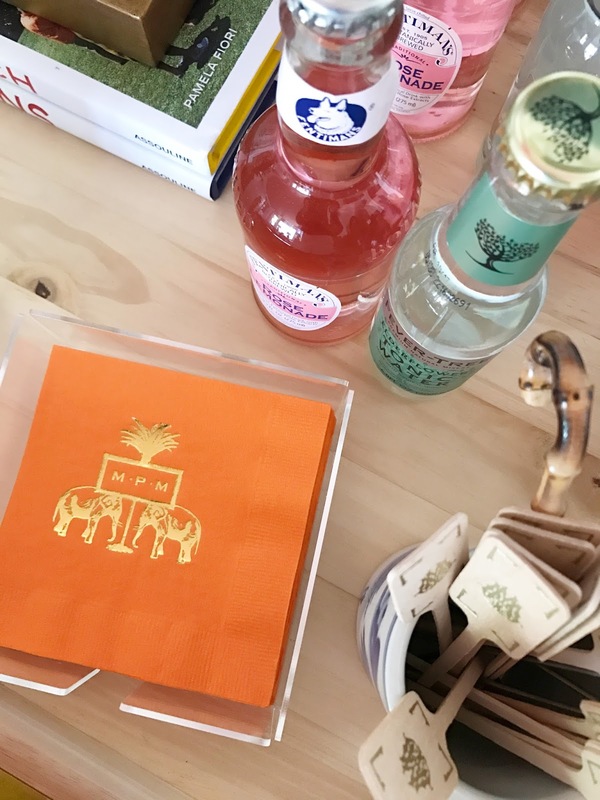 I try to keep flavored soda and orange and grapefruit juice on hand. I am also a huge fan of flavored Sanpelligrino soda because it mixes with vodka and gin so well. Since giving up sugar in January I tend to add nothing to my bourbon lately and I am adjusting. That first one was a doozie, I do miss my ginger beer, but the calories are not worth it. And since most times I choose to have a cocktail I am only drinking one it is easier to just pour it on ice. 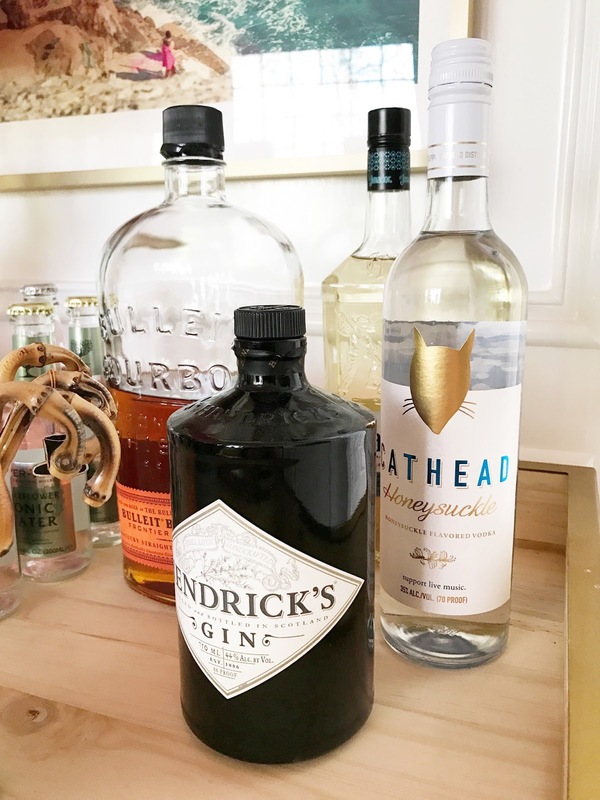 The drinks you add to your bar cart are very personal. We always have bourbon, gin and vodka on hand and I grab champs when we entertain. I am allergic to yeast so we don't keep wine and beer on hand but I grab if we need to. The Hubs only drinks red wine so I grab a bottle of that if he has people over. My favorite bourbon is Bulleit, his is Woodford Reserve. I prefer Hendrick's gin and I have a friend who prefers Bombay Sapphire. We love Cathead Vodka and the honeysuckle is the best!! What you add is completely up to you. If your guests are all of the short kind I would grab some bottled water and bottled Coke and add fun straws and napkins. Perfect for all ages! 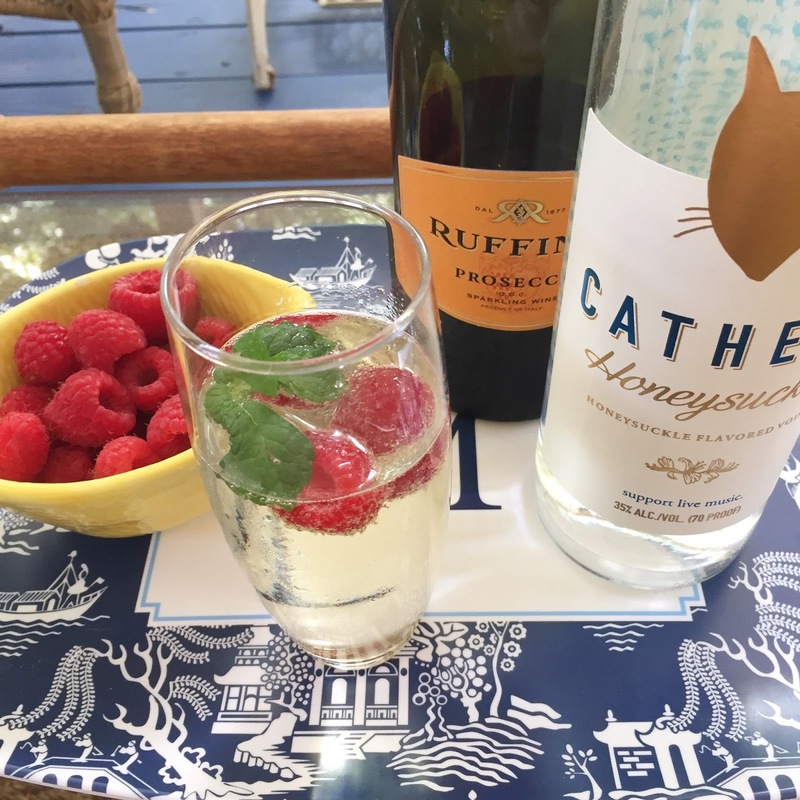 Since we are nearing the weekend I have a fun and yummy drink to share with you from a post I wrote last summer with Cathead Vodka. It is delicious and it will instantly make you think spring is coming very soon, even if you have to drink it in front of a fire! 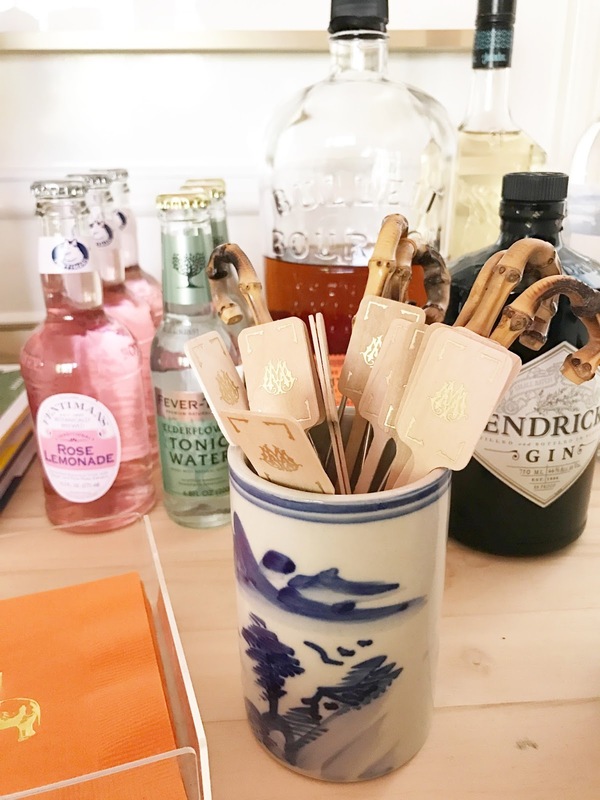 Your bar cart is full of charm, Paige. I love the mix and the whimsy. Enjoy the weekend. Hope it's warmer for you. 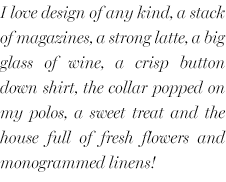 Since the first time I saw your monogrammed napkins, I have wanted to buy some for my friend, Anne. She and her partner, Craig, entertain all of the time. Do you have a suggestion on how I would put their names on a napkin so it doesn't look like a wedding reception?